It is something special to experience the winter time in the Sauerland. Groomed pistes and cross-country trails as well as magnificent remote views invite you to extensive winter hikes through a fairytale landscape with glittering snow and bright blue skies. 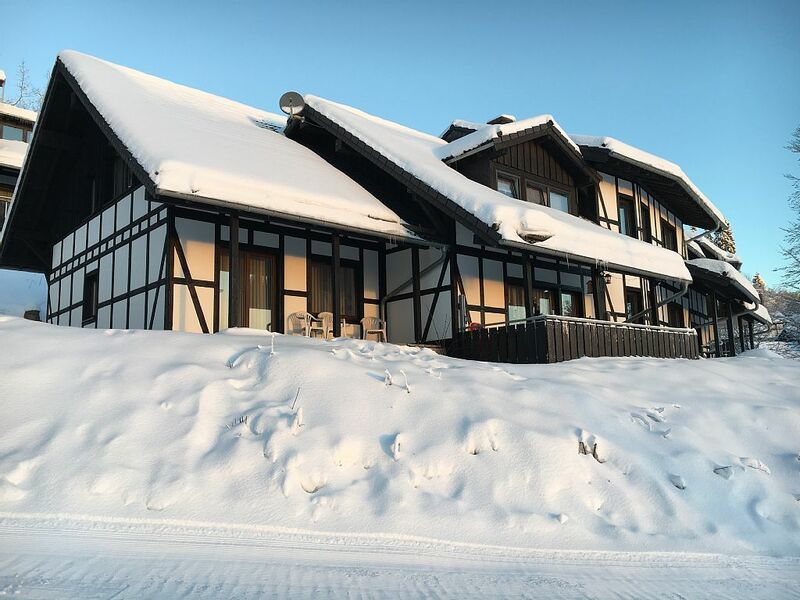 What could be better than to actively experience winter nature during the day, to relax afterwards with the wellness and to decide the evening with a cosy meal and a glass of wine or beer? For alpine skiers, Neuastenberg is the winter sports centre Postwiese with a total of 16 ski slopes and partially illuminated floodlit slopes. The entrance can be made directly at the holiday house via the 400m long natural toboggan run. For snowboarders there is a highly attractive fun park. The appropriate equipment is available in the nearby ski rentals. For beginners as well as for advanced skiers, suitable courses are offered at the Neuastenberg Skiing school. Let yourself be inspired by the cosy village atmosphere and the family-friendliness in the Neuastenberg village. The Long Meadow Cross-country ski centre offers in a approx. 3 km distance 22 km of classic tracks. Also in approx. 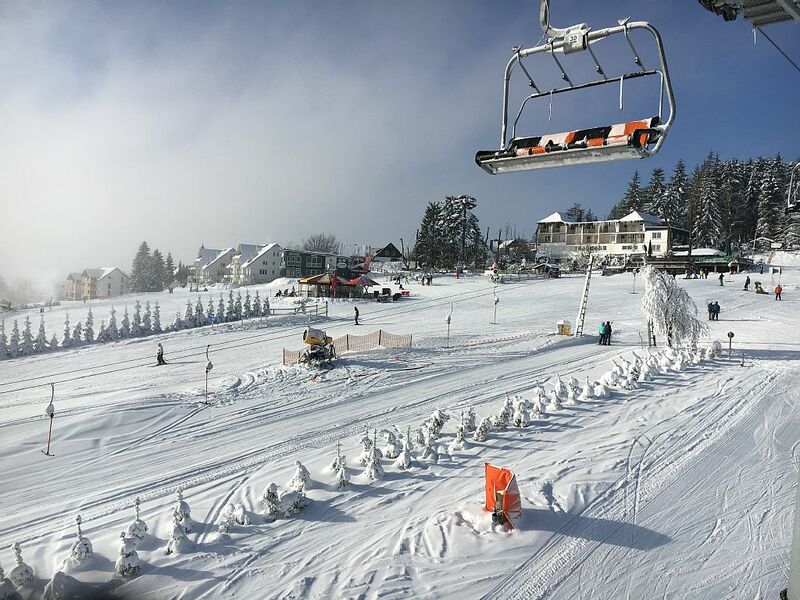 3 km in the direction of Winterberg you can reach more varied routes up to 150 km and circuits on a length of five to twelve km for beginners, advanced skiers and skaters. In only 3 minutes by car or by bus (stop directly at the house) you can reach the Skiliftkarussell Winterberg with 34 runs on 27 km of pistes. For optimal winter pleasures, snow from December to March.